One of our most popular walks, the Full-moon walk, returns! 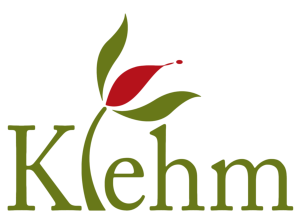 On this day-after Thanksgiving, come and experience the peace and serenity that mother nature can offer, and experience Klehm in a way that you may never have before. Participants will be given jar candles to help light the way and make this night just a little brighter. Imagine what the fox, rabbits, raccoons and owls will think when they see a slow parade of lights moving silently through the trails of the Arboretum. And with any luck, the night will be clear so that we can experience the unusual beauty of the moon at its fullest. Past Tranquility Walk participants have described this experience as “transformative” and “intoxicating”. Come and find out why. If you have out-of-town guests visiting this weekend, invite them to join you for what is sure to be a memorable experience. NOTE: This is an after-hours program, so please plan to arrive a few minutes before 5:30 PM as the entry gates will be closed promptly at 5:30 PM. We will gather at the Clarcor building at the far west end of the main parking lot. Dress for whatever the weather might bring.